Timesheet & expense tracking for payroll, projects & invoicing. Setup award winning utilities from the most asked for catalogues! 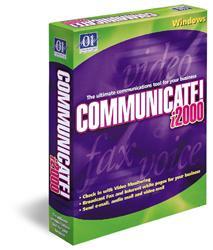 Get featured software applications and rare utilities. Acquire commercial software, public domain programs, freeware, and trials to obtain in diverse categories. On Softempire website you can at any time see a novel software package, or try the last releases of your favourite PC and mobile tools, apps, and securities tools. To acquire the desired software package to recieve, try an easy to use collection or a intelligent library. The Softempire website is permanently supplemented: if there is the newest version of software you search, it is most likely to be in the network fullest utilities aggregation! You can download: PhoneAnalytics, Dragonfly, WDReportGen, Business Letter Professional 2008, Viapoint Smart Organizer, COMMMUNICATE! DELUXE, EuroCheck, SELLIT Sales and Marketing, SprinN Standard eng, HPV Web Server, LFPConverter, MyBooks, Paraben's Contact Manager, db2kinvoice, FileWISE Deluxe Software.